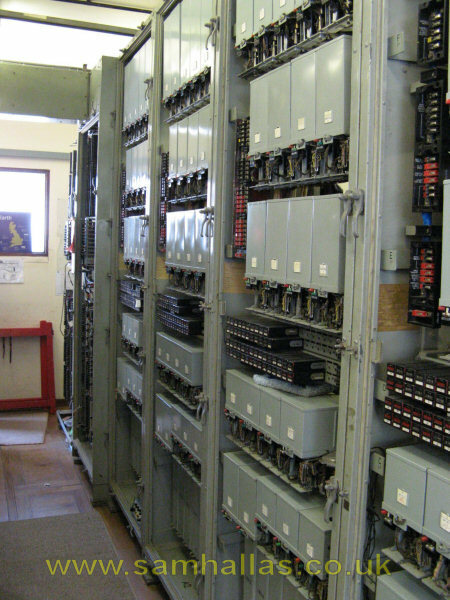 Avoncroft is one of a number of museums dedicated to preserving our built environment heritage - buildings to you and me. 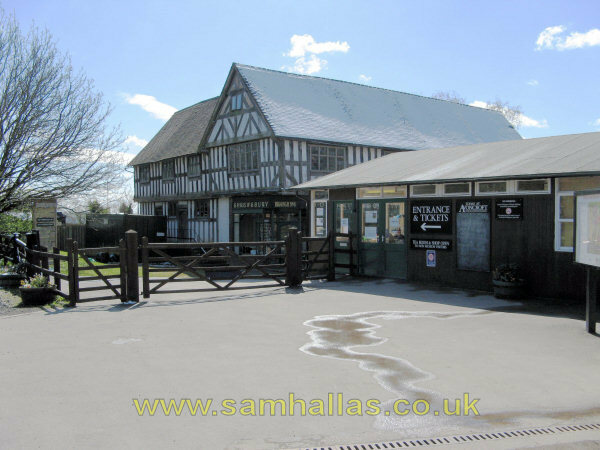 Historic buildings have been carefully dismantled and moved to the site near Bromsgrove. However, my interest was in the part it plays in the BT Connected Earth partnership. 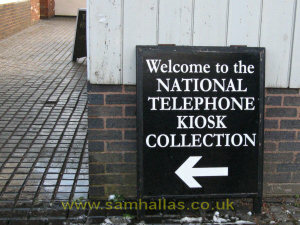 Avoncroft is home to the national collection of telephone kiosks and street pillars. On my visit in 2008, despite the March sunshine, there was still snow on the roof tops. Beyond the main entrance is the first of the preserved buildings, a Cooperative store rescued from Shrewsbury. It still has goods in the window from the heyday of Coops. But that wasn't what I was looking for. Here's the sign to what I want just past the Coop. Immediately you pass through the passageway there is a group of the familiar Kiosks No 6 from 1936, with an odd little wooden kiosk tucked in behind. ... 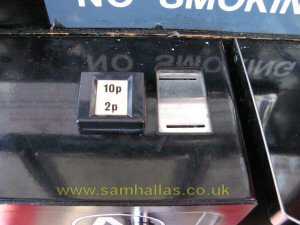 I noticed that at least one had been fitted with decimal coin slots in its Button A, Button B cash box. 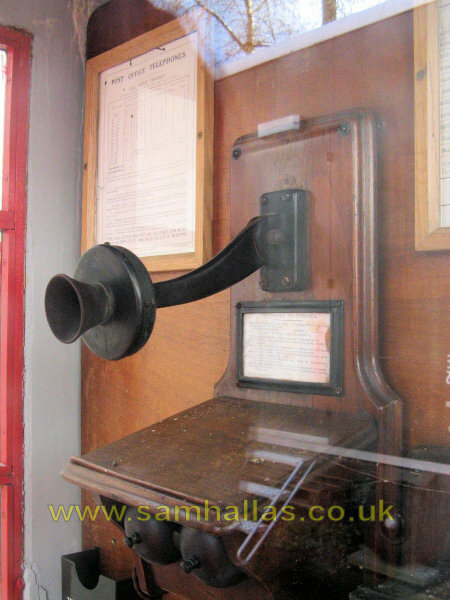 ... with this interesting phone inside with its microphone on a stalk. Around the corner is the main display area. 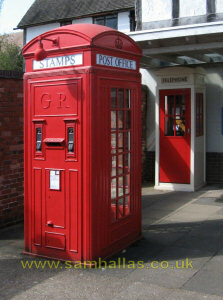 The first to come into view is the modified Kiosk No 1 (Mk 236), from 1923. Note the ornate telephone sign with central finial. 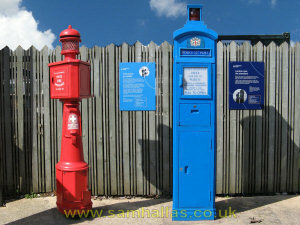 Close by is the Kiosk No 4 which attempted to combine some of the postal services with the telephone. It is fitted with a stamp machine and letter box in the back. It is said that the rolls of stamps tended to stick together in damp weather making the mechanism unreliable. 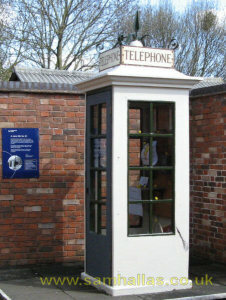 Visible in the background of the picture above is a smaller kiosk with this telephone inside. 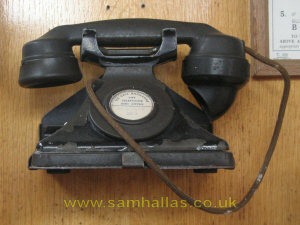 At first viewing it looked like one of the early telephones No 162 with a metal case. 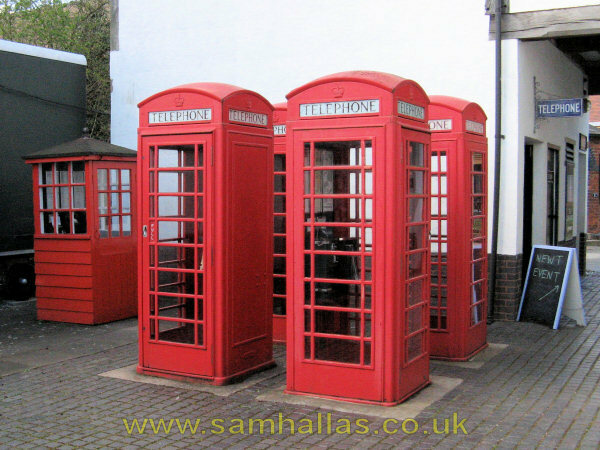 Laurence Rudolph, who noticed it first, was able to examine it closely on a later visit and found it was a normal one which had been painted to restore the badly faded bakelite. Within a few yards we've shifted forwards in time to 1968 when this model, the Kiosk No 8 appeared on the streets. 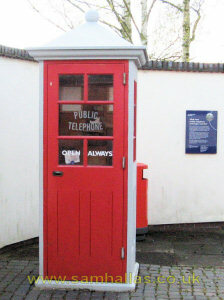 In the background is one of the short-lived Mercury payphone shelters. 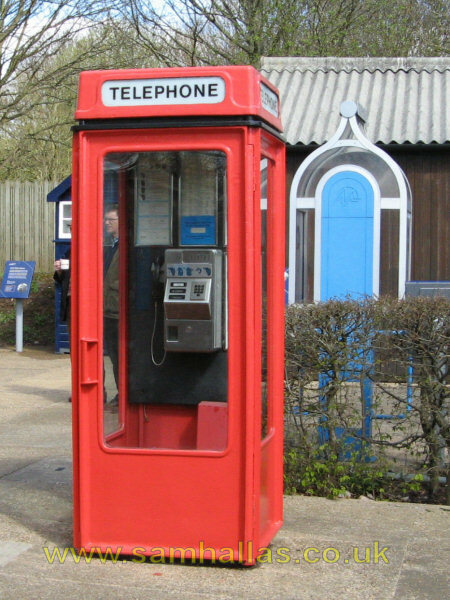 All of the kiosks are fitted with telephones. Here's another unusual one with a magneto telephone and post-payment coin box. 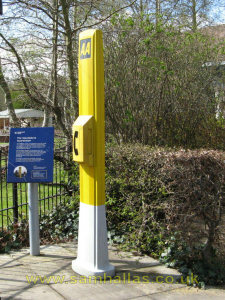 Besides telephone kiosks, Avoncroft has a collection of other street telephones, such as these police pillars. The lamps on top flash when the telephone rings. 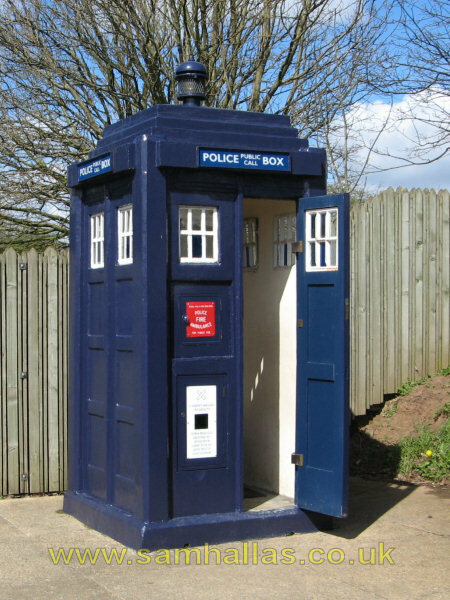 The police box is open so you can step inside and appreciate how cramped the accommodation is. 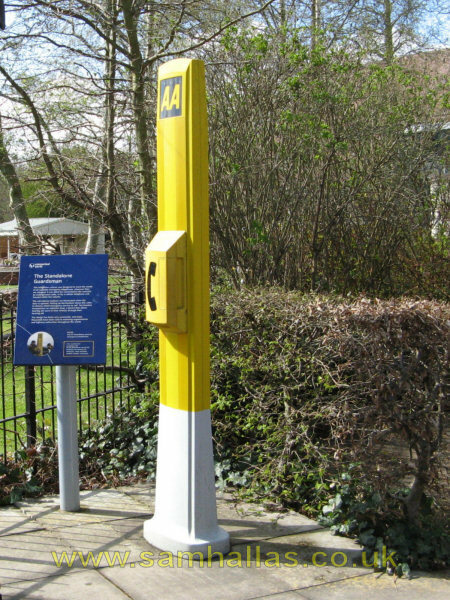 When I was at school I remember seeing these boxes at various locations around town. Now virtually all gone from everywhere. 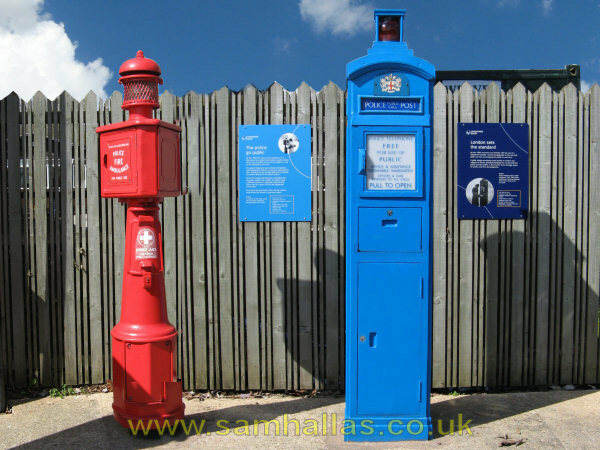 Retired police superintendent, Jack Bunker, has emailed to let me know about his book The Rise and Fall of the Police Box. Click here for details. 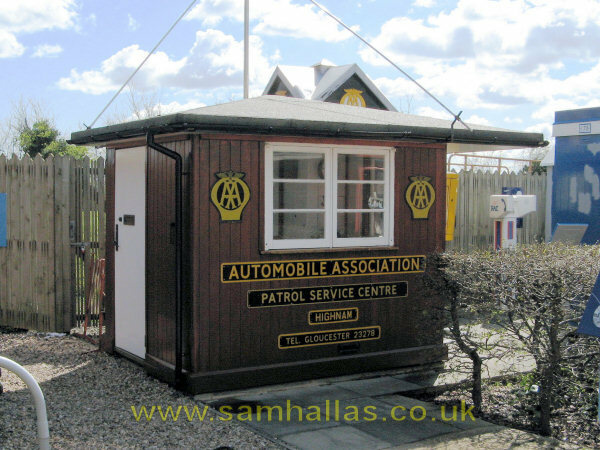 As well as the traditional AA and RAC boxes, Avoncroft has this modern design from Gaitronics, the Sentinel, here painted in the AA's livery. Not only that, but they have a complete AA roadside cabin. 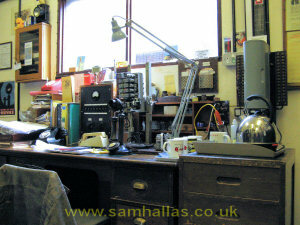 Inside is a Creed model 7 teleprinter which appeared to be in working order. All the telephones in the kiosks are connected to one of two Strowger exchanges on site. 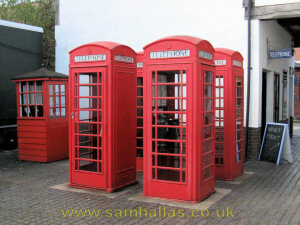 One is a mobile exchange, just visible behind the K6s seen earlier. 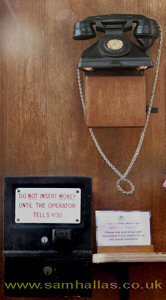 The other, seen behind the Mercury payphone above, is a complete rural exchange in an original building. The exchanges are kept working by am enthusiastic team of volunteers with the help of this well-equipped test desk. 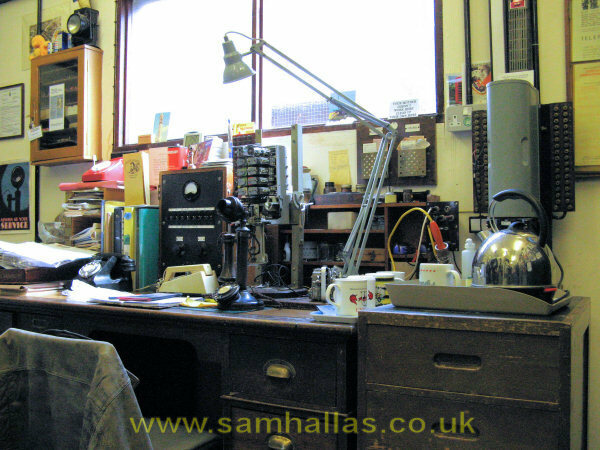 Note the essential tools to the right - kettle and mugs. Beside the kiosk collection there's plenty more to see at Avoncroft. 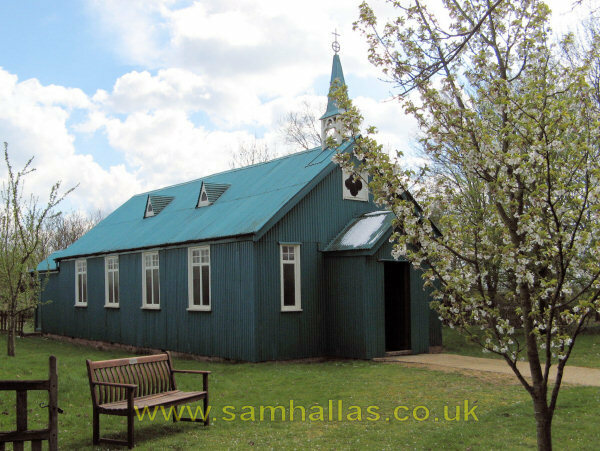 I was particularly taken by this corrugated iron-clad church which could be bought by mail order and shipped to the colonies. It came as a flat pack, long before MFI or Ikea.